I don't think blood have anything to do with the series. But still it suit well with this wall theme. 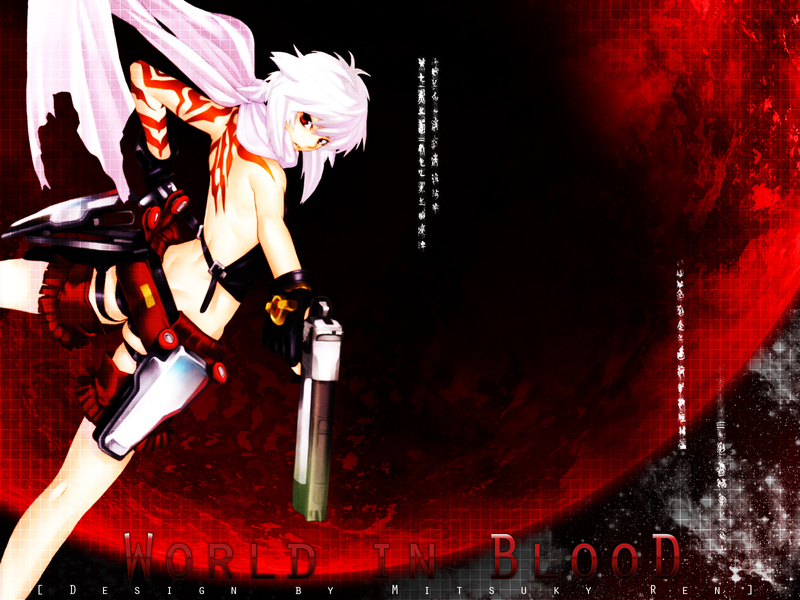 WORLD IN BLOOD IS SO AWESOME OMG OMG OMG THE RED MOON IS SO COOL ! this wallpaper is really great! Oh man I am loving this. You really set the atmosphere for this wallpaper. Well done, very professional work!